Milwaukee Bucks: Is coaching to blame for struggles? The Milwaukee Bucks are now 9-9 on the season, and a few recent losses have left fans agitated and confused. To be sure, Bucks fans are thoroughly experienced with being disappointed. Milwaukee hasn’t won a playoff series in a full 16 years, now the longest active drought in the NBA. The light at the end of the tunnel still seems far away, and the disappointment is crushing, yet all too familiar. But this year was supposed to be different. The team’s new superstar, Giannis Antetokounmpo, started out looking like a true MVP. He actually has some support behind him in Khris Middleton and Malcolm Brogdon, and now Eric Bledsoe after the trade. 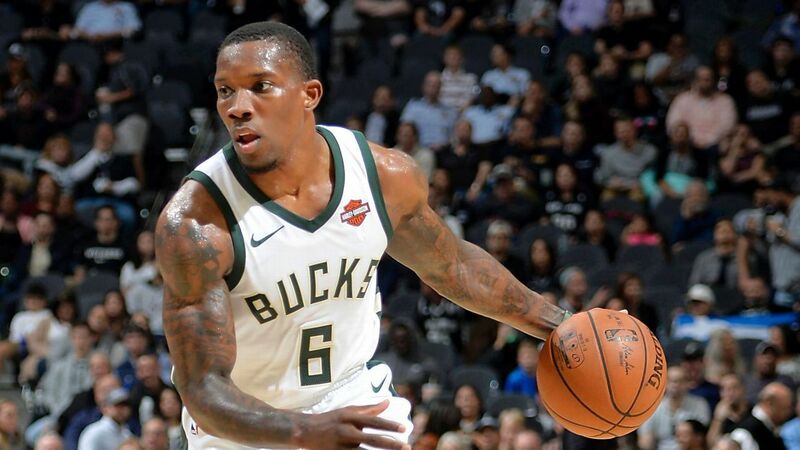 After starting the season 4-6 against a tough schedule, the Bucks made the biggest trade of the NBA season in acquiring Bledsoe. They immediately turned around their early troubles, going on a four-game winning streak with the addition of Bledsoe. Eric Bledsoe drives against the Spurs in his Bucks debut. Photo: ESPN. Since then, they’ve lost three of their last four, including some cryptic blowouts in Dallas (now 5-16) and Utah (9-11). In those three losses, they were noticeably terrible on both ends of the floor. The offense still looks stagnant, and the defense has given up open threes on a nightly basis. In Dallas, the Mavericks absolutely exposed the Bucks defense, setting a franchise record with 19 three-pointers. The Mavs fired away as the Bucks helplessly left shooters wide open all night. After the game, coach Jason Kidd explained the loss, “We talked about how they were second in the league in attempts, they just hadn’t made them, and tonight they made up for all their misses.” Kidd’s comments seemed to suggest that the Mavs’ 32 point win was largely due to luck. Just one week later, the Utah Jazz set yet another franchise record on three-pointers against the Bucks with 19, many of them uncontested. Their exploitation of the Bucks’ frenzied trapping defense was highly strategic and relentless. And here's the PnR I mentioned earlier, used to exploit the scheme. Giannis was visibly frustrated with how the game was playing out, and his anger boiled over in the third quarter when he violently tossed a chair aside and yelled at assistant coach Sean Sweeney. When Kidd was asked after the game about what was lacking on defense, he replied, “Effort, energy and caring. And sprinkle in a little trying. We didn’t do that tonight.” He put the blame almost exclusively on the players and denied any possibility of a system that was designed to fail from the start. As the embarrassing losses pile up, Kidd’s seat as head coach is getting hotter. Coming into the season, his job was far from in jeopardy. He has a good relationship with the owners, who seem complacent with letting him run the show. However, Kidd dismissing every disastrous night as a freak accident or a sheer lack of effort does not inspire confidence in him as a leader. The optimist in me believes that if things don’t turn around soon, the Bucks’ management will have to reevaluate his role with the team moving forward. Is Kidd solely to blame for the struggles, though? Certainly, you can point to many other things that have contributed to their overall inadequacy. The bench performance is lacking with both Mirza Teletovic and Matthew Dellavedova out with injuries. Bledsoe, while he has helped the team to five wins, is still adjusting to the new systems and will take some time to get fully acquainted. He made several miscues that contributed to the Jazz’s three-point onslaught on Saturday. You can also shift some of the blame to Khris Middleton, who has looked like a shell of himself through 18 games. Normally, Middleton is a reliable sharpshooter who can create open looks for himself and provide a steady scoring punch. Ironically, Middleton has been the most inconsistent player on the Bucks this year. For instance, he followed up his 40-point performance in Phoenix with nine points on 4-of-15 shooting in Utah. His effort has appeared half-hearted on most nights, and he even admitted earlier in the season, “Over the first couple of games, I don’t think I was playing hard enough.” The accountability in that statement is promising, but it hasn’t translated to a consistent effort and demonstrated will to win on a nightly basis. This is a pivotal moment in the season for the Bucks. Kidd’s schemes and game plans have not produced the desired results, and the team has to change something about their approach if they have any hope of improving. The players need to show that they care and put forth a consistent effort. They need to make smart decisions, and not play down to their competition as they’re famous for doing. The Bucks’ next opportunity to get back on the right path will come against the Blazers on Thursday. Next Next post: Green Bay Packers: Will the Packers make the Playoffs?